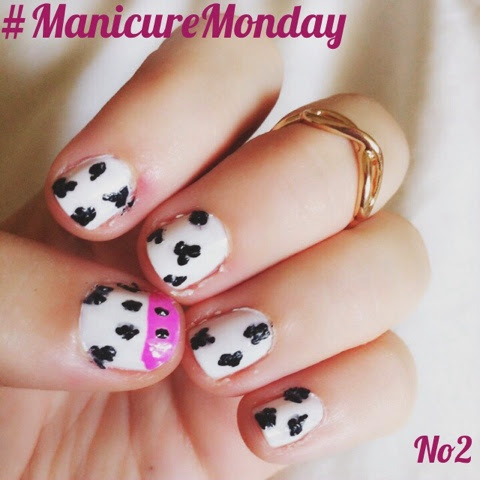 This #ManicureMonday I've dawned one of my favourite nail looks, cute cow nails. This is a very forgiving nail art look, if you mess up with the blac is doesn't matter! If all the 'blobs' or patches were even it wouldn't look realistic. For this I didn't use any nail art pens, just white, BALCK and pink nail varnish.